June in Vermont. Summer is finally here. The green is positively throbbing with life, and the birds are ready to go before sunrise. Very recently, I saw some photos from a family member of lightning bugs/fireflies. 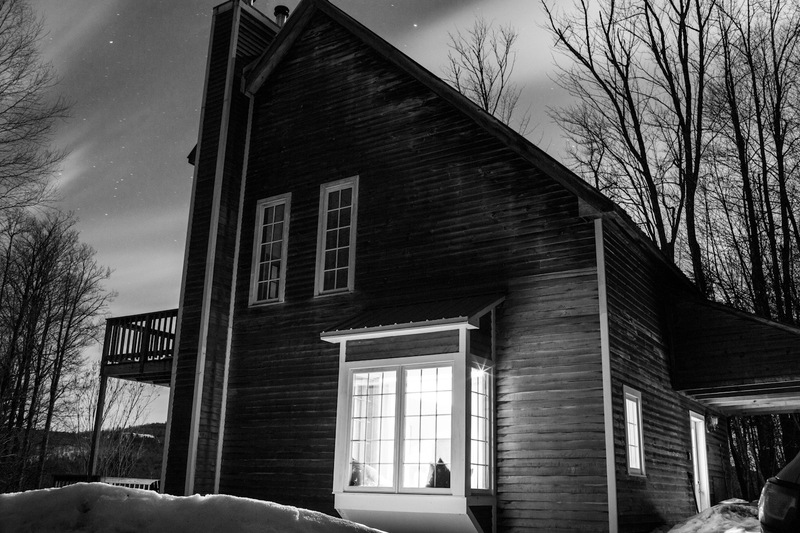 I am rarely in Vermont, or anywhere else where they are, in time to see them. When I am, it is such a treat. Always takes me back to my childhood to see the little lanterns appear and disappear in the warmth of a June evening. Yes, I did occasionally trap them in jars and watch their abdomens close up. But even then, or maybe especially then, it was hard to see them confined when they are so lovely gracing the summer air. If you are planning a trip, lightning bugs are one of the plusses of an early season rental. And along with them, the lightning. I had a scare last week when a guest reported that the water wasn’t running properly, or sometimes at all. Since I’m on a well rather than city water like back in CA, that news carries with it some serious dread about the state of the well. But the good news was that all was, “well.” (Sorry about that.) The pump controls had been hit by lightning, apparently. That’s all. My guest at the time confirmed a loud thunderstorm the night before, so the circumstances seemed to match. All good. And well. If you live in a part of the country where thunderstorms are common, they probably aren’t the thrill that they can be to folks from farther away. Say, California, for instance. Out here, when we do hear thunder, it is most often in December, when a wild Pacific winter storm gets even wilder. But the weather then is cold, blustery, and the thunder doesn’t presage a break in the heat as it often does in Vermont. So, maybe like you, I’m always delighted when I hear the first low rumbles out in the distance to the west. I love battening down the hatches in advance, maybe leaving a west window open over the sink to let the wind come in. But then I go out on the deck to hear the rain coming toward me through the leaves. Sometimes it sounds like a car approaching. Then it gets louder, and the first drops hit my face, and I’m sure. And, as with the lightning bugs, I’m a kid again. My lungs are on fire, and I’m light on my feet. Watching for the lightning, counting the seconds, seven to a mile, until the rumble and the roar. When the seconds become few, I don’t bother much counting. I just enjoy the thrill. So what if I had to pay the plumber (or the piper, as they say). I’m sure my guest had a grand time. And the water is great, thank you. My wife Jean Marie is hankering for an apple, a local apple. “Not too tart,” she says. My go-to is a Mac, a Macintosh. But the apple harvest is upon us. There are eight varieties for sale here at Dutton’s Farm Stand, many unfamiliar to me. And why not learn something, I figure. The woman at the register can’t help. She calls to the back. “Josh? Can you answer a question about apples?” Josh is an earnest twenty-, maybe thirty-something young man with thick brown hair and a full beard. He is knowledgeable and friendly enough, but he doesn’t smile. Nothing funny about apples. He tells Jean Marie about each variety. Which is sweet, which less so. Which ones are best for cooking. I’m impressed. I want to test him out on a more controversial topic. To my surprise, he isn’t immediately up in arms about the losses of great varieties from the past. “We’ve got 25 different apples here,” he says. I am heartened, though not entirely convinced by his optimism. He’s young, and maybe he doesn’t know (although that seems unlikely, given where he works, what he does), and his “Feel the Bern” T-shirt suggests an awareness of things here in Vermont and beyond. But I worry. When Jean Marie asks him if the Fuji’s are local, he says yes. 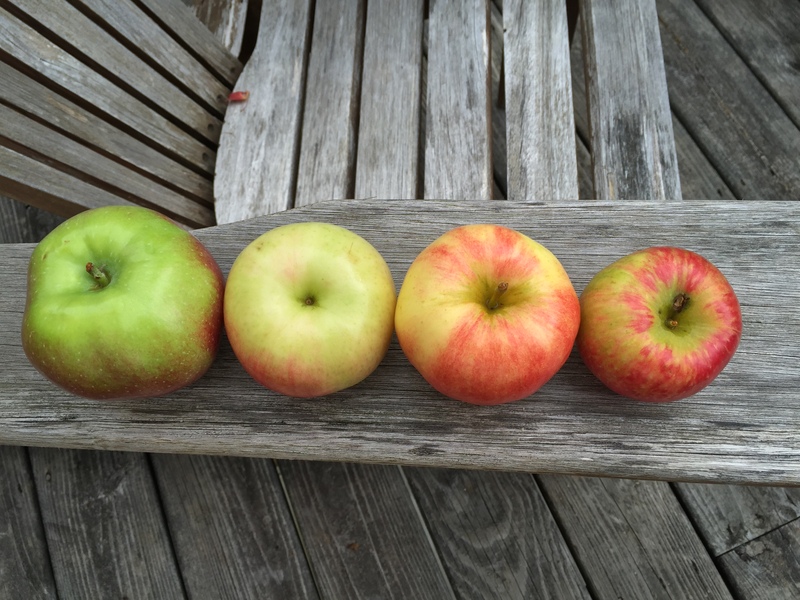 “All these apples are local.” But “grown here” and “originating here” are different. Macintoshs are grown in the Pacific Northwest, too, but they taste nothing like the ones from back here. Different soil, different climate. Seems to me I’ve read about disappearing apples, too. I’m easily discouraged by endangered species of one sort or another. But I don’t get into that. Not today, anyway. Jean Marie, meanwhile, has decided that she’ll buy several. We’ll have an apple tasting tomorrow. 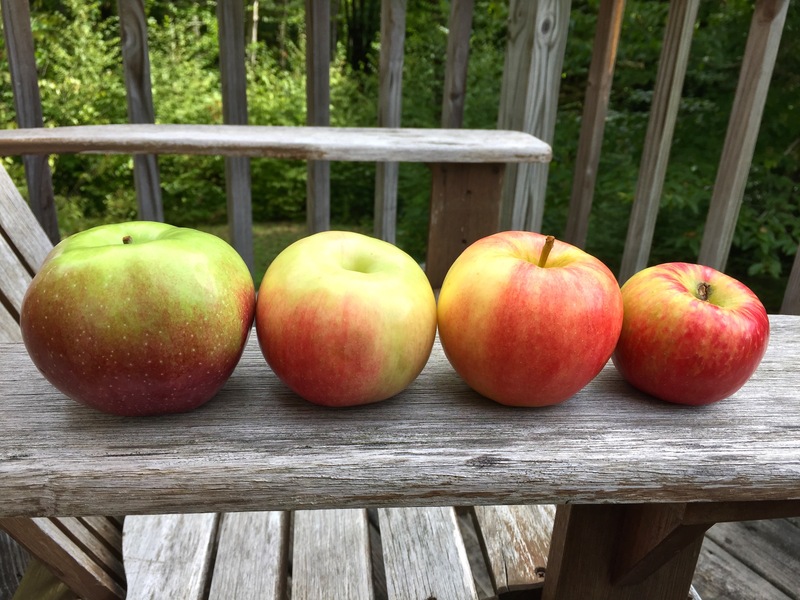 So she picks out four: Macoun, Sansa, Honey Crisp, Zestar. Sounds like a great plan. The names are what intrigue me, of course. I wonder where they all come from. Another day for that, too. I’m writing this by starlight. Well, okay. My laptop has a lighted screen. But above me the stars are so distinct I swear they would be enough to read by. I’ve just arrived on a wonderfully clear day in mid-September, and in the midst of settling in, I have stopped to go out on the deck where the Adirondack chairs await some maintenance tomorrow. All the way from Boston the new moon, “God’s fingernail” as my wife likes to call it, hung low in the west, guiding me on. Above me now, the moonless sky, filled, and I mean filled, with stars. “The Milky Way” is a familiar phrase, a quaint expression really. Now and again back home, especially if I’m away from houses, I see a little suggestion of it. Here it looks like an interstellar freeway. “Milky” hardly seems an exaggeration. Then too there are so many more stars than I see at home. I like pointing out constellations, usually to no one in particular. The dog, maybe, on our evening walk. “Look, Luna! There’s Cassiopeia!” It’s easier to see them there, because the brightest stars seem more singular, isolated and defined. Orion is right there, without competition from lesser stars. Here it’s a regular mob of stars, a stellar “Where’s Waldo” overhead. Breathtaking. The impact of this, after the surprise and delight have diminished, is to realize that we are in fact on a small planet in a very large galaxy in an impossible to fathom universe. It’s a great way to get humble: to see stars this way. I like to think of where I am on Earth—a shoulder of North America, not “flat ground” at all, but projecting out at an angle perpendicular to Earth into this darkness filled with distant light. The Barred Owl has just spoken. “Who-oo, oo-oot. Who-oo, oo-OOOO.” Not too far away, straight out from me in the dark. He or she is a regular here. Last year I managed a photo with my phone, capturing a distinctive owl shape, not much more. I go online to see better the features that distinguish the Barred from the Great Horned, also common in these woods, and the Barn Owl, less common but distinctive in its screeching call. Well, I have landed. Greeted by stars and night folk. Vision and sound. How wonderful to be here. This is the time of year I get to spend a few days on the property that otherwise is enjoyed by you all—guests from across the country and around the world. I pick a week or so in September. That’s between the very popular summer season and the equally popular leaf season. Usually I get to see the first blush of fall color. Such a treat for someone who grew up back here, but who doesn’t live here anymore. I savor the shorter days, the low slant of light, seemingly lower each day, the sharp shadows, thinning as the leaves begin to fall. I love the crisper air in the morning—seeing my breath for the first time in months. I hope it will rain. Yes, I live in California, and while the water won’t do any good back home, it will be very good for my soul. Would a late thunderstorm be too much to ask? Probably. Coming after Labor Day, I do miss some things. Olalliie Daylilies in South Newfane is closed for the season. At Dutton’s Farm Stand, some of the summer veggies are in shorter supply. The soft-serve ice cream stand in my hometown across the border in MA is already shut up for the season. “See you next year!” the sign happily boasts. But for each of these losses, so many gains. WIthin two weeks when I’m there, the forest goes from summer-green to beginning fall-plaid. 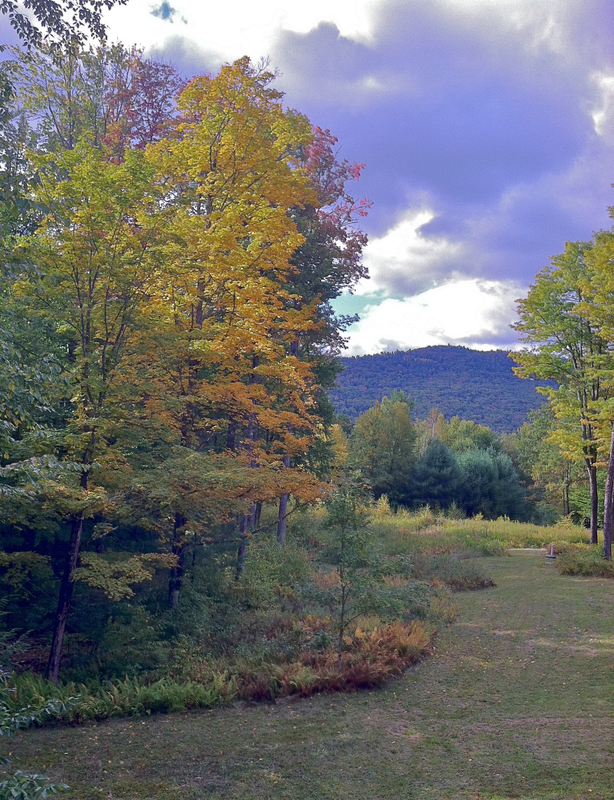 Lots of green still in the blend, but the warm autumn colors are there, too—sometimes in spectacular fashion. Sometimes I drive up into the Green Mountains where the higher elevation is like a time machine. Within an hour of the house, I’m at least a week further into fall foliage. 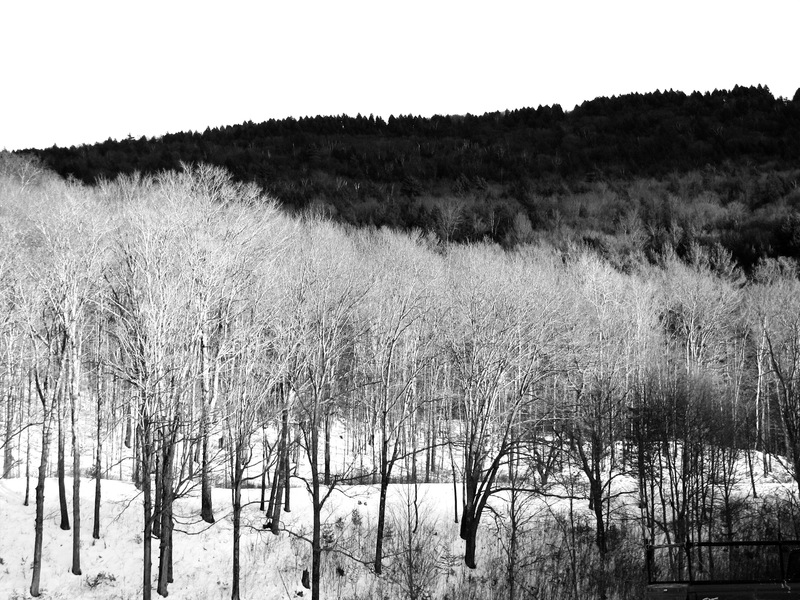 Last year I went up to Stratton on a beautiful, (“typical,” my father would have said) New England day. Not so sure about the latter, but this day was fabulous. My wife and I kept pulling over to take photos. Yes, I know, we were being annoying “flatlanders.” But when it’s your childhood you’re recapturing on film, you do what you have to do. Watching the calendar now. Just another week. Can’t wait. Among the annual treats of this area are not one but two prestigious music programs: Marlboro Music Festival and Yellow Barn. Both are within a half hour’s drive of here, and both offer quality music, and in the latter case, classes, and discussions. Go to their websites for more information, and remember that you can be to either within minutes of Ridgeview, and return to the silence here with the music echoing pleasantly in your memory. We’re coming up on the time of year when the sap starts to run again. (No, I’m sitting down at the moment, thank you.) When I was a little boy, my father used to collect sap. It was a small-time operation. We never netted more than a gallon or two, as I can recall. We didn’t have a real sugar house, either, just the brick barbeque in the back yard. My father would keep a fire going for days at a time, with a big pot filled with sap-becoming-syrup. It was more a symbolic, seasonal ritual than an actual production. But it made a lasting appreciation. Like my involvement with the garden in the summer (reluctant at best) which nevertheless translated later in my life into endless raising of beds and other landscape projects, house after house, my appreciation for the syrup making process was mostly spectatorial. But I do recall one year when I was trusted at last with the big hand drill like a splayed “omega” and pointed out toward the maples near the house. I remember the tool was cumbersome and I got frustrated easily. But eventually the corkscrews of blond wood promised that we could pound in a spout, hang a steel pail under it and home the weather cooperated. Then we pulled my red wagon around on the street near as we could get to the trees, collected the sap as it flowed (or didn’t) and dragged it back to my father in the yard, stirring the pot through the smoke. I can’t say I remember that first taste. There have been so many servings of syrup since, so many pancakes, so many waffles, and now steel-cut oats, my regular breakfast these days, with a tablespoon of maple syrup. But like Proust’s cookie, the taste always sends me back to Massachusetts, when I was five, and my father made his own syrup. And it was wonderful. Looking at the forecasts for tomorrow—temperatures in the 50’s with heavy rain—I recall times in the past and in my youth when the January thaw arrived. 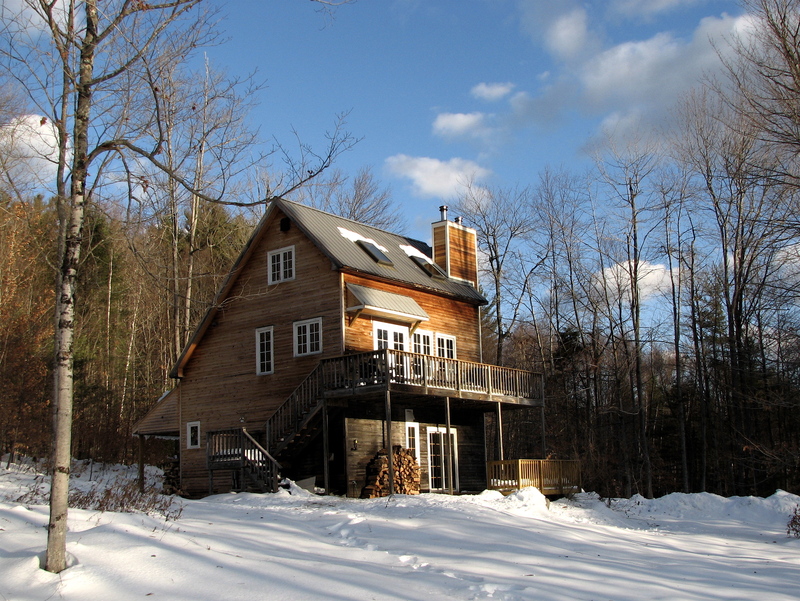 Winters are long in the Northeast, even in these days of climate change. If the snow isn’t as deep or doesn’t arrive as early, the time is long anyway before the buds swell and the flowers bloom. One way to greet the Thaw is with gratitude. I can remember one such event when the smell of the earth suddenly filled the air and gave hope for an eventual spring. Heady stuff, that. Of course rain on snow isn’t the best kind of thaw and as a matter of fact can even produce some dangerous situations. The Historical Society has photographs of downtown Brattleboro and the surrounding Connecticut and West River valleys when thaws cause massive ice jams and flooding of the fields and low areas near the rivers. The flood of 1869 stands out among those. That was April, true. But we don’t want that. So far, no one is predicting anything so dire for tomorrow. So I’ll hope that the ground isn’t left entirely bare, that the inevitable cold snap that follows won’t turn the roads into skating rinks, and that there are moments when the air seems lighter, less leaden, and we can turn back to winter a little refreshed anyway. Whatever the weather, there’s always something wonderful there. Even if it’s just sitting on the sofa with a good book, a glass of wine, and a roaring fire. Here’s to 2013, wherever you are!